This signature program will impact the lives of 10,000 girls in grades six through eight by providing leadership development, civic engagement, enhanced academic preparation and character building. The increasing demands of the twenty-first century mandate our youth to be better leaders at a younger age making smart choices with positive consequences. These initiatives encourage personal fitness and healthy life styles. We will support organizations which advance access to treatment and coordinate awareness and advocacy campaigns to reduce health disparities, save lives and impact health related legislation. Co-sponsored health forums will address: diseases which disproportionately affect women and minorities, prevention and treatment options. Head Start programs. The goal is early diagnosis, treatment awareness and parental education and advocacy. advocacy for and legislation related to public health and environmental justice. The goals for this initiative are to end hunger, preserve the environment and empower women. The program will provide food production skills and training in self-reliance through gifts of seeds, livestock and training in environmentally sound agriculture. Education in sustainable food practices will make women equal partners in ending poverty and hunger. Alpha Kappa Alpha will continue its membership and consultative status with UNESCO (United Nations Educational Scientific and Cultural Organization). We have global partners for self-help projects and awareness campaigns within the United States and abroad. This effort expands the current programs related to wealth building and allocation of resources, home ownership, estate planning, support and empowerment of female owned businesses and urban enterprise zones. These initiatives will address gender equality issues including: human trafficking and domestic violence, services for children with incarcerated parents, youth aging out of foster care and children in homeless shelters. Voter empowerment; access to technology;training of parents as advocates for educational and health care needs of children and support of the arts will be emphasized. 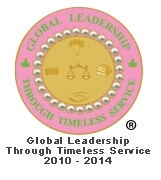 This initiative will afford Alpha Kappa Alpha members leadership training at all levels within the organization. It will serve as a catalyst for members to reach their fullest potential as skilled leaders in service to Alpha Kappa Alpha and other organizations and institutions.